Preparing your resume for a first job can be difficult especially that you could be going against applicants with vast experience. The best solution to help you maximize your chances despite the competition would be to prepare a well written entry level resume objective. 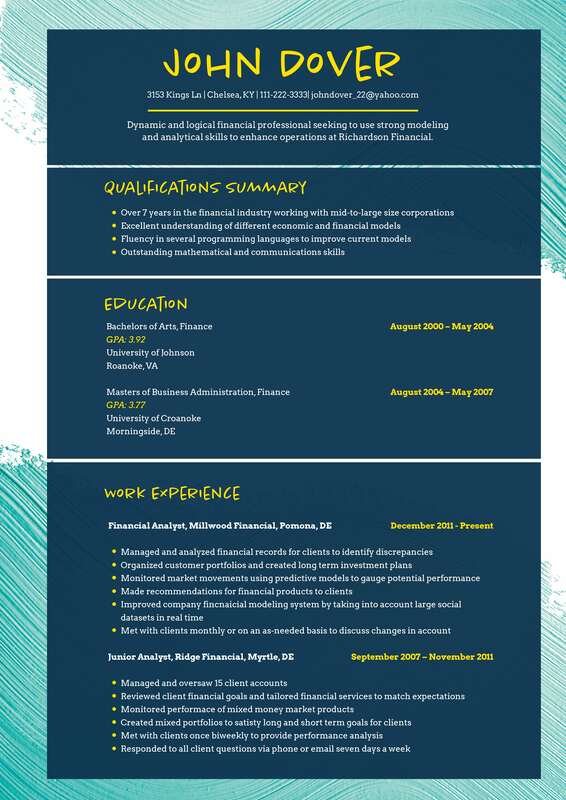 It’s important to use a proper format of resume for students. Your objective is a vital part in your resume as this will enable you to showcase your target career and goal to hiring managers. Accomplishment/Education – You should be able to emphasize your degree immediately in your entry level resume objective given that you are seeking and entry level job. Include relevant information about your academic career and special awards that might deemed essential to the hiring managers. There is no need to list your course but instead focus on core competencies that will show potential employers that you have background knowledge on what the job entails. Personalization – Tailoring your entry level resume objective will allow you effectively catch the attention of your audience. It is also important that you choose the right font, point size and format of your resume especially that these will be the first things they will see. Keep your resume objective professionally written and practical. When personalizing, avoid sounding too ambitious and including terminologies that might be foreign to your readers. Bespoke resume has better chances of getting noticed especially that this accommodates to the specific job requirement and opportunity. Skills/Experience – To make your entry level resume objective more powerful, you can include internship, volunteer programs, vital skills and relevant trainings that will demonstrate your dedication, expertise and extensive knowledge towards the job. Keep in mind that well developed resume objectives can be a great leverage especially when narrowing down applicants. Many hiring managers rely on skills, experience and reliability when choosing which ones to interview so do your best to choose the best technical, academic and professional skills that will help distinguish you from others. Summarize – One of the key factors of a winning entry level resume objective is its ability to deliver all pertinent information in just a single sentence. You can also use entry level resume objective examples in order for you to get a preview on which information you should prioritize and avoid. Keep your objective short, concise and direct to the point. Do not include all academic accomplishments and work experiences but focus on which skills, experience and projects are essential depending on the job requirement. Proofread – It is very important that you proofread not only your entry level resume objective. Errors from grammar, spelling or typos can say a lot about your competency so make sure that you allocate time to ensure that no part of your resume will be plagiarized or riddled with errors. You can also utilize free entry level resume objective examples online in order to know if your objective can serve its purpose which is to make a great first impression. Apart form that, increase your chances of being noticed by including relative keywords that a recruiter will most likely to be looking for. However, a keyword or phrase should never exceed 4% of the word count. We don’t need to repeat yourself and write a lot of unnecessary text.